Tyler No Comments on What are HID Headlights? In the world of car headlight technologies, you have but three choices. You can make use of the original halogen headlight; you could install the cool HIDs; or give the new shiny LEDs a go. Each choice can be defended, and each camp has its own supporters, but in this article we’re going to take a bit of a look at what HID headlights are. HID stands for high intensity discharge, which is a description of the way the bulbs generate light. Light is generated when an electrical discharge is sent through an ionised gas. This description fits a number of other light bulbs including neon lights. HIDs are used in applications where a particularly bright light is required with good efficiency and their most popular use historically has been in stadium and street lighting. A typical HID light bulb consists of two electrodes (usually made of tungsten) surrounded by a glass enclosure, containing a gas and metal salts. The automotive application of the technology makes use of metal-halide salts, with a xenon gas. 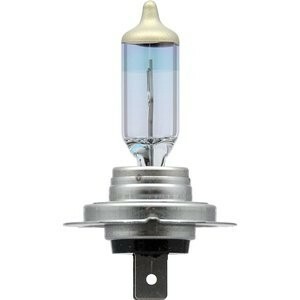 This use of xenon gas is why HID headlights are often referred to as xenon lights. Typically, an HID light bulb requires a number of minutes to warm up to full brightness, but the use of xenon gas helps reduce this to under 10 seconds. A normal car system operates on a DC current circuit in the 12V – 14V range, but HID bulbs need a higher voltage AC circuit to operate. As such each bulb requires a ballast to correctly operate. In most implementations the ballast is what connects to the car’s control system, and the HID light bulb is plugged into the ballast. The bulb operates slightly differently depending on circumstances, for example when you immediately turn it on, and when it’s been running for a while. The ballast is able to balance the system accordingly. In cars that come with HID bulbs, the ballast is integrated into the cars electronics already. When people convert their cars’ headlights from halogen to HID, the ballast is a small wallet sized package that contains the necessary electronics and is usually mounted close to the headlights, in the engine bay. HID lights are more efficient than halogen light bulbs, resulting in a brighter light for less power. This ultimately improves your fuel consumption, albeit marginally. Picking HIDs over halogens gives you a big selection when it comes to the colour your light bulb outputs. The colour of light in headlamps is given on a temperature scale and rated in Kelvin. Most halogen lightbulbs are between 3,000K and 3,500K which is a yellowish light. HIDs can be almost any colour, with people usually opting for a 4,500K – 6,000K light. This is a much whiter (sometimes blue) light which better replicates natural sunlight. HIDs are more expensive. They often come as an option on new cars, costing a few hundred dollars extra. Replacement bulbs and HID kits (for replacing halogens with HIDs) are also pricier than halogens, although that gap is being closed. Although cars that come with HID bulbs installed are legal, converting your car to HIDs from a different bulb type may not be. Most sellers of HID products note that their products are intended for off-road use only. So be careful with your purchase, you may be able to install the lights in a manner that it conforms to local laws, but be sure to research these beforehand. HIDs are more prone to lifetime dimming than other technologies. That means that after a few years the light output might be dimmer than when you purchased them. Whether this is noticeable or not is dependent on a number of factors including the specific product you purchase. So just remember that although the bulb may not blow for 5,000 hours, make sure you’re still able to see well enough. Although HID bulbs were first implemented in the early 1990s, the actual technology was first demonstrated at the start of the 18th century. As with many aspects of society, a lot of development was required before the product was mature enough to be used practically and even more so for use in the automotive industry. And even since the 1990s implementation of HID headlights into a car, a lot of improvements have been noted. To this day, cost is still seen as the biggest barrier to HIDs success. 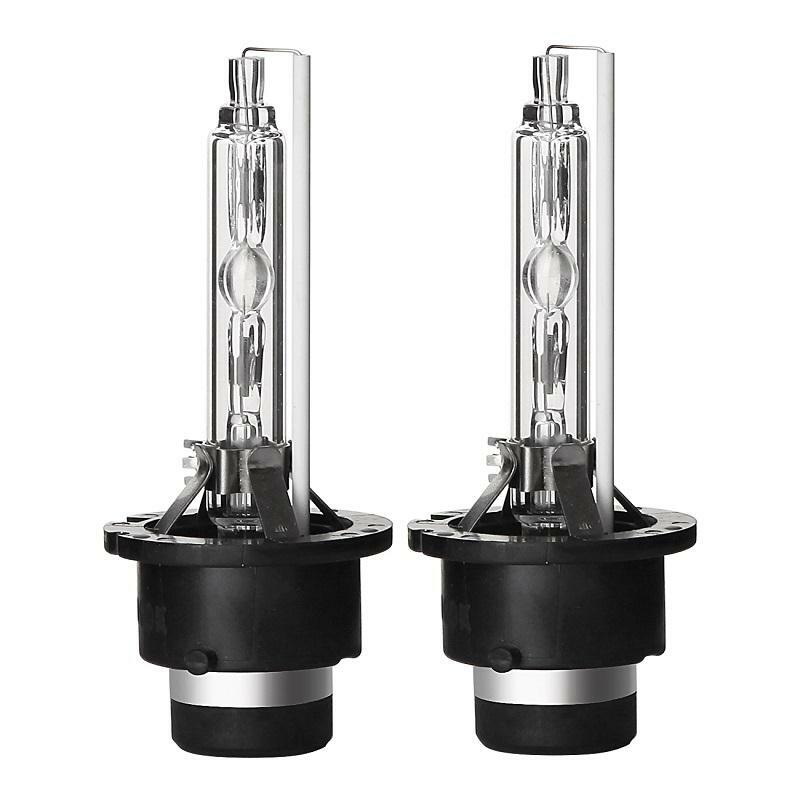 Halogen light bulbs, although not as bright as HIDs and with much shorter lifespans, are what is in majority of cars currently. They are much cheaper and easier to make than HIDs or LEDs and require no additional electronics. Although LEDs and HIDs may offer a better experience, halogens are seen as good enough. It will unfortunately be a while before we move away from these completely. The current popular alternative to HIDs are LED lights. They’ve seen massive improvements over the past few years and are rapidly replacing halogen light bulbs as conventional household lights. They have been made small and bright enough for cars, with a number of manufacturers offering it as an optional extra, but cost is still prohibitive for majority of car owners. A $30 set of HID headlights. They come with a matching pair of ballasts to power your new bulbs and are available in a variety of sizes and colors, sure to meet your requirements. Good reviews from customers, with only a few complaints about malfunctions when new. A bit more expensive than the Innovited brand ($40 depending on size), Kensun are the established brand. This specific product has been on sale for over 5 years and is a crowd pleaser. With similar specifications to the Innovited, the Kensun includes mounting brackets for the ballasts and comes with a 2-year warranty, supported by positive customer feedback. If you didn’t know what HID headlights were before, we hope you do now. Depending on your situation they can be a great way to improve the lighting of your car, and at the same time spruce up its look. It’s better to have them installed as an option on a new car, but can be done quite easily as a retro-fitment too. LED vs Halogen Headlights: Which is Better?